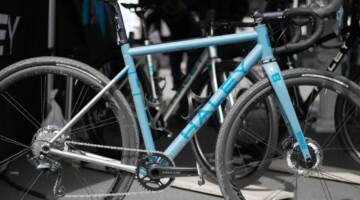 Sage Titanium bikes are no stranger to the garages of our Cyclocross Magazine test riders. 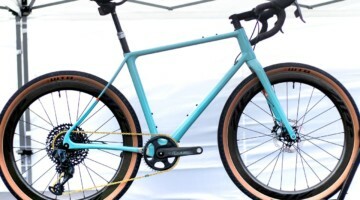 We took a first look at the Sage Barlow gravel bike two years ago and have a ride review coming soon, and last year at Sea Otter, we saw a working prototype of the new Sage Titanium 2018 PDXCX that features updated geometry compared to the model we reviewed a few years ago in print Issue 25. The original PDXCX was atypical of cyclocross bikes when Sage first released the model. 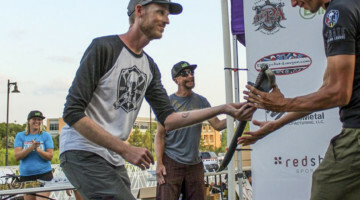 It bucked the trend of lower bottom brackets with a very high 5.5cm BB drop and featured longer than average chainstays paired with a relatively short reach and front center. Despite the unconventional design, our team found the bike fun to ride over technical terrain. 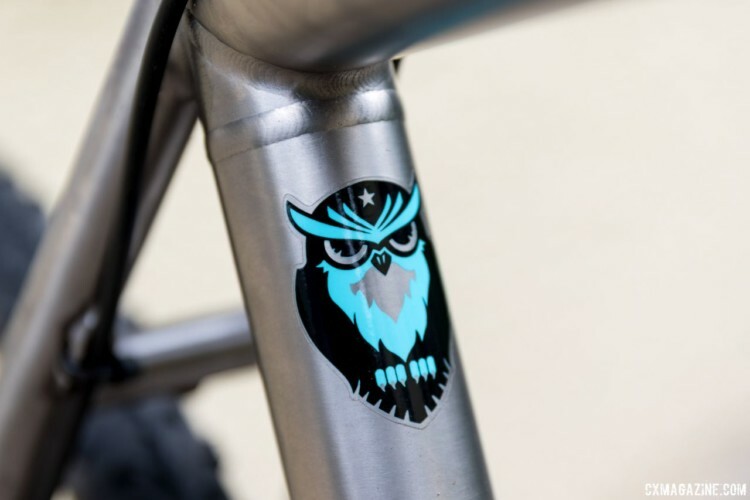 Hand-crafted titanium bikes are not for everyone due to their price and customization. Sage offers the PDXCX as a $2,900 frame or $3,650 frameset with an Enve fork and its website gives consumers the option to “build your dream bike.” With less expensive foreign-built titanium frames such as the Dean Antero and Why Cycles R+ and other domestic high-end price peers such as those from Mosaic Cycles available, we see if the new PDXCX delivers performance and craftmanship that is worthy of the asked investment. 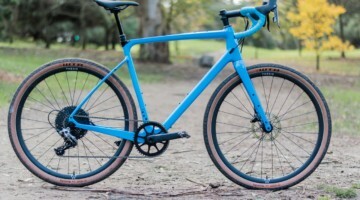 Sage built us a bike with a Shimano Ultegra 8000 groupset and HED Ardennes Plus LT tubeless wheels, and we put it to the test during the recent cyclocross season. Read on for our impressions of this titanium race machine hand-built here in the U.S.
Sage Titanium owner David Rosen redesigned the 2018 model of the PDXCX by lowering the bottom bracket, shortening the chainstays and stretching the front end outward. In previous reviews, I have mentioned Rosen does not sleep at night and instead toils over the details of his bike designs. 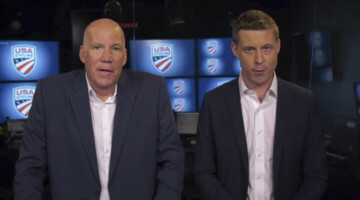 What did his late-night sessions yield this year? 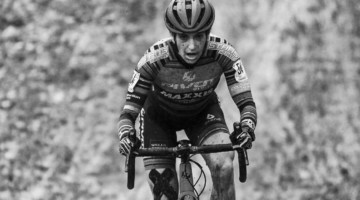 Rosen told Cyclocross Magazine he wanted a bike that performs well in technical terrain with rough rocky or rooted surfaces and off-cambers and hairpin turns. 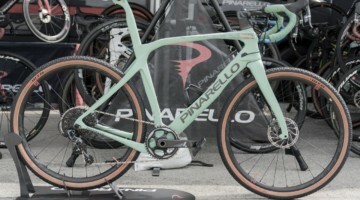 With that goal in mind, the BB drop is now 6.2cm, still almost a centimeter higher than today’s typical American-designed cyclocross race bike. 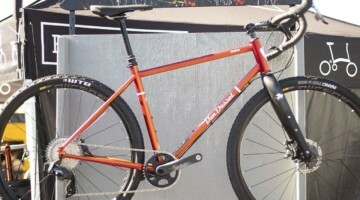 However, the 42.5cm chainstays and 56cm top tube on the 56cm frame are similar to other modern cyclocross bikes. With a 72.5-degree head tube angle and a standard 47cm fork offset, the PDXCX has a road bike-like 60mm trail. Other geometry parameters fall into the expected ranges with a 73.5-degree seat tube angle and 60.4cm front center that create a 102.1cm wheelbase. Our 56cm test bike has a reach of 38.5cm and stack of 59cm. 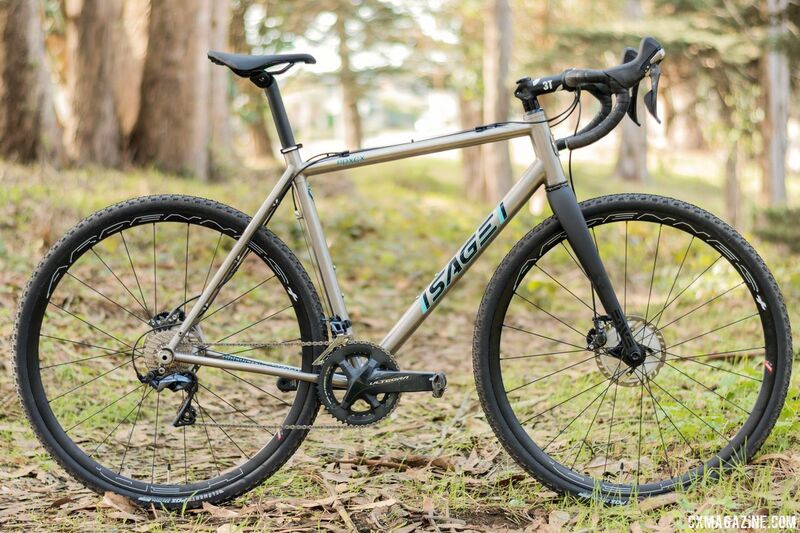 Sage has the PDXCX’s 3V/2.5Al titanium alloy frame manufactured to Rosen’s specifications in Tennessee by Lynskey Performance, a company that has mastered titanium bike fabrication for decades. 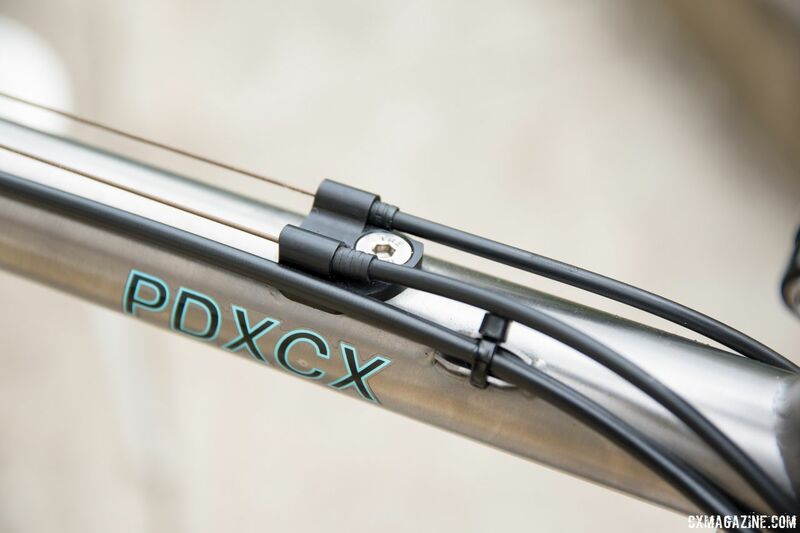 The PDXCX’s 44mm diameter headtube fits a tapered fork. 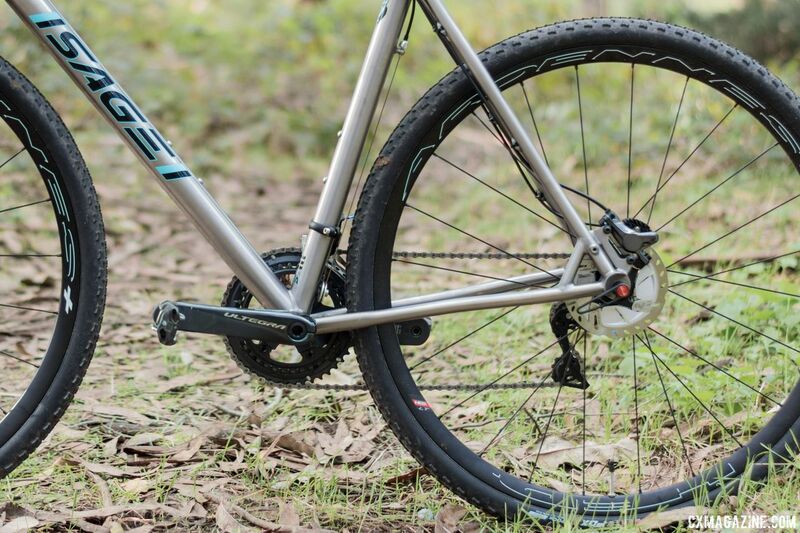 Sage provides two front fork options on bikes ordered through its website. 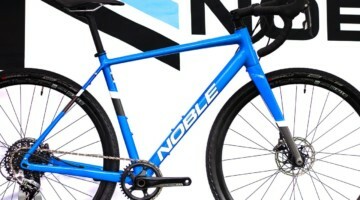 Our test bike has an Enve Composites CX fork with a 12mm thru-axle and post mount disc brakes. Rosen told us he wanted to keep the downtube clean, so the top tube control line runs using the patented CCS© system, an interchangeable cable mount system bolted to the frame to cleanly run one, two or zero control lines. The brake hose runs on mounts welded near the shift control lines. 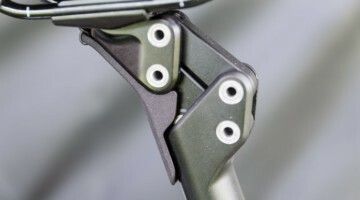 With the high-control line arrangement, the rear caliper mount is IS welded to the seatstay and forkend and reinforced to the chainstay with a truss. Rosen chose the post mount fork to match the aesthetics of the rear caliper post mount adapter. If you order your PDXCX with a double front chain ring, a reversing pulley runs down the seat tube to control the front derailleur, which is a very traditional approach for cyclocross. 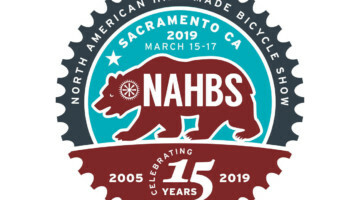 The standard threaded bottom bracket shell, which also adheres to tradition, has not created any problems during my time riding the test bike. 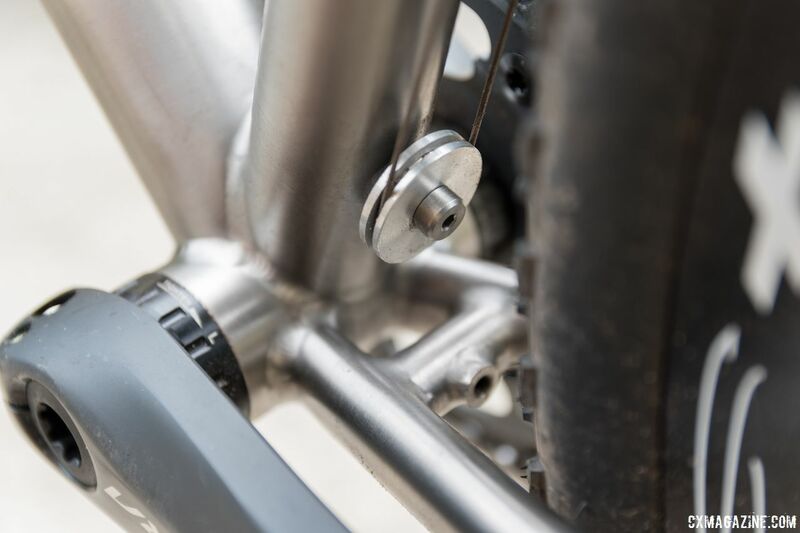 The bike’s design also features two sets of bottle mounts in the expected locations and fender mounts on the stay bridges and outside the rear forkends. 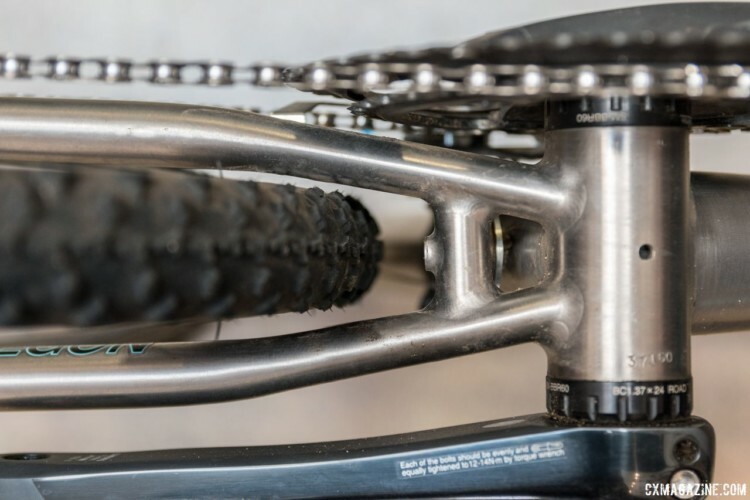 The Sage Titanium website has a tool for custom ordering your dream bike and having it sent to a Sage dealer or delivered to your home. The drivetrain options are impressive, with both Shimano and SRAM and mechanical and electronic shifting choices available. 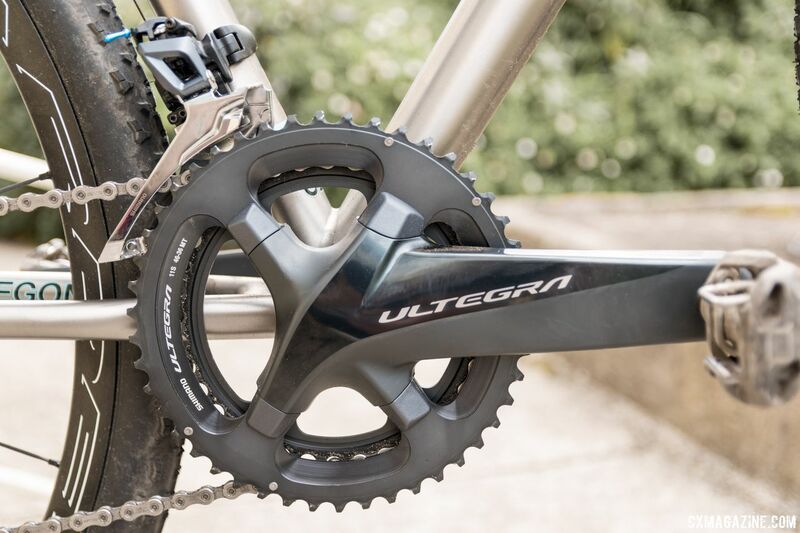 Our review bike came with a new Shimano Ultegra 8000 mechanical shifting drivetrain. Front 46/36t chain rings match with the rear 11-speed cassette. 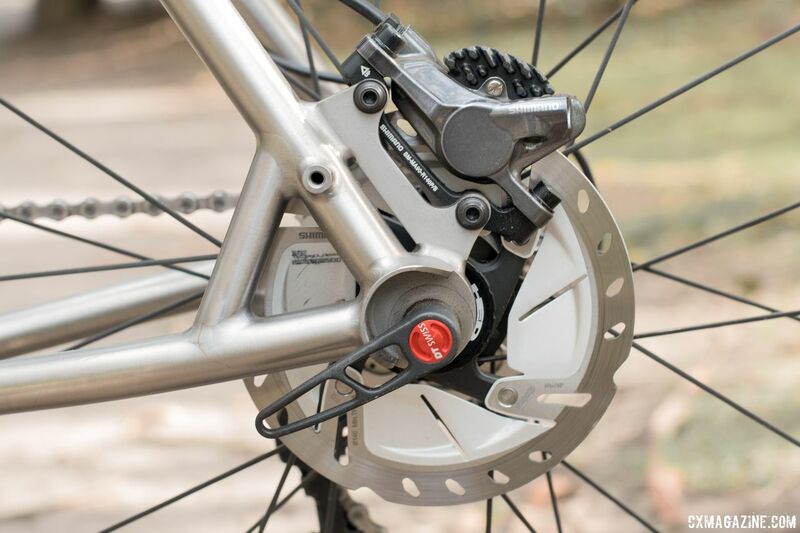 The drivetrain paired with ST-RS685 hydraulic levers and RS-785 calipers. The new Ultegra 8020 levers were not available when the bike was built, and the post mount standard necessitated the caliper choice. Rotors were the new RT-SM800 mode with a large heat sink area filling the space between the Centerlock mount and brake surface. Our bar, stem and seatpost were 3T aluminum models. The Ergoterra bar matches to an ARX Pro stem and Zero25 pro seatpost with side tightening clamp. The stubby-nosed Specialized Power saddle was admittedly a bit new for us. The review bike came with a set of HED Ardennes Plus LT disc clincher wheels, a 1,575g aluminum rimmed set with 24 bladed spokes laced 2x. The Ardennes Plus clincher rim has an internal width of 21mm. 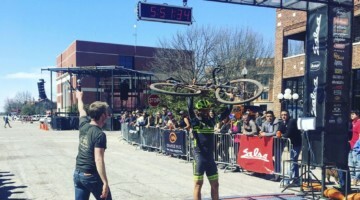 We mounted 33mm Donnelly PDX tires tubeless for muddy conditions, and they had a measured width of 34mm on the 21mm rims when inflated to 30psi. The full build weighed 18.8 pounds without pedals and 12.7 pounds without wheels. Sage Titanium offers several off-road models with different designated uses. 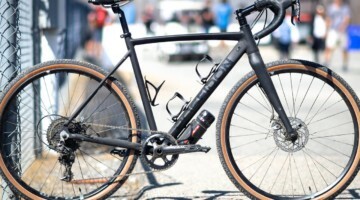 Sage considers the Barlow a mixed terrain/gravel bike based on its 7cm BB drop, lower stack and longer reach, compared to the PDXCX. 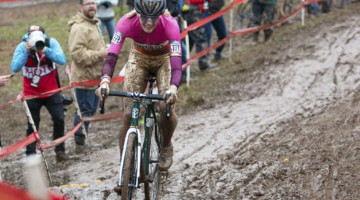 Sage describes the PDXCX as a cyclocross race-oriented bike with a bottom bracket that is 8mm higher than the Barlow, and it has a shorter reach and higher stack that bring the bars higher and a hair closer to the rider to aid in navigating technical terrain. However, both the PDXCX and Barlow are versatile bikes that can easily cross over to the other category. 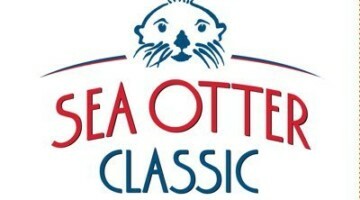 For cyclocross racing, I can justify having both a low or high bottom bracket. I love the idea of a lower BB on courses that have long power sections with tight, fast chicanes thanks to the lower center of gravity. That said I like a slightly higher BB and riding position for technical terrain with singletrack, rocks, roots and a lot of uneven terrain that requires power to get over. The unpainted titanium skeleton gives a feeling of indestructibility thanks to the raw sheen of the metal and knowledge the corrosion-resistant metal alloy is actually close to being indestructible. Add in the race-friendly geometry, and the PDXCX is a fun tool for tight, technical trails where you can willingly push the bike and yourself into trouble. If you do go too far, the PDXCX can save you from yourself and get you out of those tight situations unscathed thanks to the higher bottom bracket that avoids pedal strikes and nimble geometry that gets you around trees and rocks. 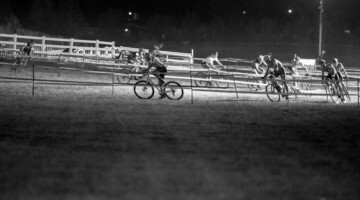 On tight and technical race courses, the PDXCX is built to shine. 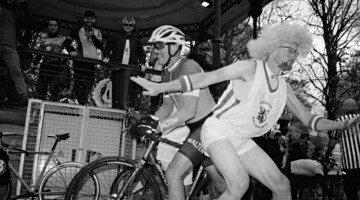 Also, I don’t hop barriers, but those who do would like the position on the Sage PDXCX. The PDXCX certainly has its place depending on the terrain you plan to ride and race it on. The bike is not necessarily specialized—remember we all used to ride with this geometry—but as ’cross bike designs have changed and we have the chance to ride and compare, nuances and preferences are noticeable. 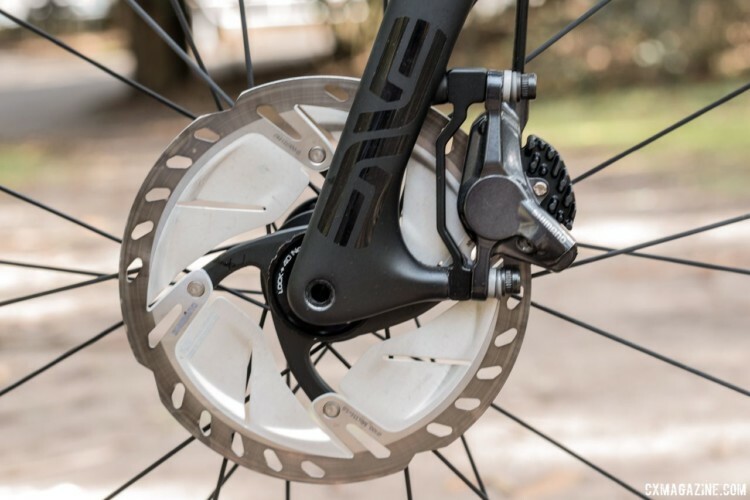 The new Ultegra 8000 groupset has some distinct improvements over its predecessor, with a shorter front derailleur arm that doesn’t interfere with the rear tire and a rear derailleur that is further inboard and out of harm’s way during drive-side spills. Shifting and braking were immediate and flawless, as I have come to expect from Shimano. The HED Ardennes Plus wheels matched with the Donnelly PDX tires proved to be a reliable tubeless combination. I appreciated that the 21mm inside width rims allowed the 33mm tires to reach their full volume. The Ardennes Plus LT wheelset is not a superlight race set, but it does a nice job balancing cost and durability for a tubeless clincher. 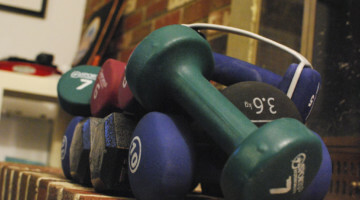 Round, true and durable, it did not bring attention to itself. Although I rode 33mm for cyclocross racing, the PDXCX has clearance for tires up to 38mm in width. Going even bigger with 40mm is probably a wishful squeeze., although the company claims there is room for 42mm tires. 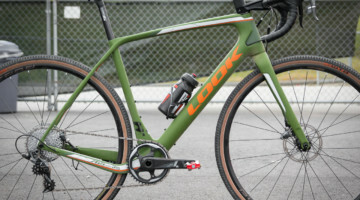 Rosen said he designed the PDXCX as a race bike, so accommodating wide tires was not as much of a focus as it was with the Barlow gravel bike. It does fit 33-38mm tires nicely, which I think fits its intended race-oriented purpose. The Sage Titanium PDXCX is fun to ride and race, with a nimble geometry that is right at home on technical cyclocross courses but also suited to all-terrain adventures. One thing that has impressed me about Sage’s bikes is their versatility. 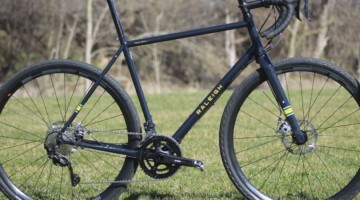 The Barlow gravel model may be a better option for long rides over mixed terrain, but if your adventures take you over more technical terrain, the PDXCX is a good choice as an all-terrain drop bar bike. 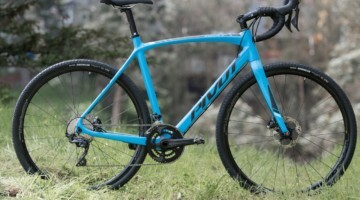 At $2,900 for just a frame and $7,400 for the full build we tested, the PDXCX is likely a dream bike for most of us. However, if you are in the market for a titanium bike hand-crafted in the United States, the Sage PDXCX is on par with other top-level titanium bikes. The Lynskey craftmanship is top-notch, and Rosen has put a lot of thought into producing a versatile and capable bike in the PDXCX.